As with any breakup between two superstars, there’s usually some sort of controversy that caused a riff along the way. On Monday, Kevin Durant decided to leave the Oklahoma City Thunder and take his talents to an already stacked Golden State Warriors squad in hopes of finally securing an NBA title. 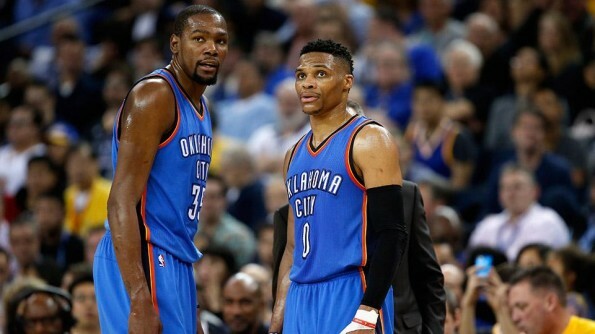 Passing the ball and offensive issues were a common theme pretty much every year that Westbrook & Durant played together in OKC, but the 2015-2016 season seemed to be the final straw that broke the camel’s back. It didn’t help that the Thunder squandered away a 3-1 series lead to the Golden State Warriors in the Western Conference Finals. According to Bleacher Report’s Howard Beck, Durant wanted an offense that kept the ball moving and provided him easier scoring chances. The Thunder fired coach Scott Brooks and brought in Billy Donovan, and still the offense stalled out at key moments, often with Westbrook dribbling into oblivion. “He’s never going to have a game in Golden State where Steve Kerr has to say at halftime, ‘You guys need to get Kevin the ball,’ which happened in OKC,” the same person said. The Warriors are expected to sign Durant to a two-year, $54.3 million deal when players can sign contracts on July 7th.